…starting in just ONE hour! DOUBLE your ability to remember words! The most terrifying thought to people over age 50 isn’t a heart attack, stroke or even cancer. If you’re like most people who answered a recent Marist Opinion Poll, losing your memory and your mind is by far the biggest fear. No doubt you’ve seen how it happens to others – repeating themselves….getting angry when someone points out a mistake…losing their social screen by saying the “wrong” thing…even getting lost on a route you drive every week. It’s easy to slip into this dark depressing world when your brain can’t keep up with your surroundings! And those are just the early symptoms. You know what comes next: can’t remember the names of your own family, can’t dress yourself, and can’t feed yourself. But now, an amazing discovery in restoring your memory can help you save your cognitive abilities and boost your brain power. In the next few minutes, this special report will give you the NEW scientific evidence showing there are seven nutrients in all – and you can actually feel the main ingredient start improving your recall in just one hour! Then it’s critical you help the five areas of your memory and brain function at the same time. They work together to keep you sharp and focused – it’s not much help to take a supplement for just one brain function! As a fully-licensed M.D., board-certified in Family Medicine specializing in holistic health, I'm deeply concerned about the epidemic number of people afflicted with memory problems and serious cognitive difficulties these days. One of my special interests is “brain nutrients” – so when I was asked to assist in the creation of this new memory-enhancing supplement, I was very excited. My excitement began when I discovered that Advanced Brain Power contains 7 of the most important brain-enhancing nutrients ever studied in clinical research. Saving your SHORT TERM MEMORY – the one that “goes” first…. and even more vibrant and alert than you’ve felt in years! Rest assured, it’s never too late to save your memory power. Even if you thought “it’s just part of aging” to lose focus, forget words, or forget appointments. What most doctors aren’t telling you about your memory…because they don’t know! Your doctor will give you a list of words to read, and after about 20 minutes, he or she will ask you to recall those words on the list. This is a classic test for dementia that doctors use because the results have a 96% accuracy rate in predicting whether a patient will have long-term memory problems. Scientists have identified the 7 top ingredients from around the world that have been shown in clinical studies to actually IMPROVE your results on the Delayed Word Recall test! 1. Low levels of the brain chemical acetylcholine, a molecule that carries memory messages from one brain cell to another. The warning signs that you could be low in acetylcholine include having more senior moments or forgetfulness, blanking out on names even though you know the face, and having fewer creative thoughts when you need them. Even if you eat right or take a multivitamin – once you turn 65, you’re still likely to be without the critical brain nutrients you need! And if you’re older or a vegetarian, research shows that you’re even more likely to be deficient in brain nutrients. Independent tests show that even if you’re taking a daily multivitamin, the skimpy amounts of nutrients they contain just can’t keep up with the damage! 2. Over-activated microglia cells in the brain due to aging. When microglia cells – your brain’s natural “garbage collectors” – can’t turn themselves off, they disrupt normal memory and mental functioning by actually causing inflammation. Too much cellular debris accumulates in the brain because the over-activated microglia cells aren’t able to do their job. 3. Not enough fuel to the brain in the form of glucose. This is due to a lack of insulin sensitivity of brain cells and imbalanced levels of blood sugar. 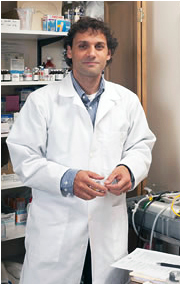 Too much blood sugar damages brain cells and leads to insulin resistance. But, too little blood sugar doesn’t bring enough glucose fuel to your brain. 4. Not enough blood flow and oxygen to the brain. The aging brain has about 20% less blood flow than younger people’s brains. Not enough blood flow and oxygen will reduce both your mental thinking and your memory. 5. Too much iron in the brain. Excess iron in your brain damages brain cells and tissue. The biggest mistake you can make with your memory now is to believe that a good diet and a multivitamin will keep you from memory loss. In fact, multivitamins with iron can actually make it worse! Neurotransmitters are important chemicals that are in charge of memory recall in your brain – the most important of which is acetylcholine. Your memory won’t work if it doesn’t have enough acetylcholine to convey memory impulses from one cell to another in the brain, so researchers have found that boosting your low levels of acetylcholine in the brain is the key to solving memory problems like having trouble remembering faces, slow mental response, and forgetting words when you need them. 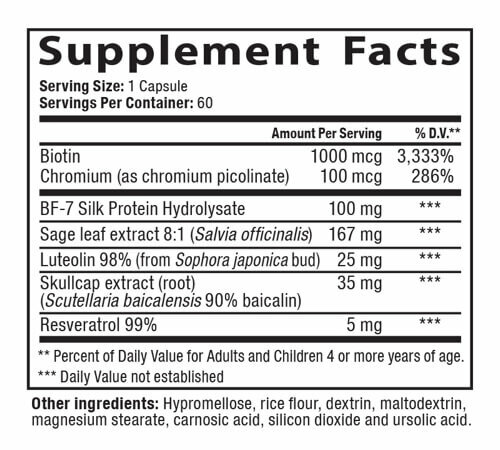 Luckily ingredients like Brain Factor-7 (BF-7) in Advanced Brain Power can help you restock the acetylcholine you need to get your brain operating in top shape. BF-7 – a rare substance found only in the silk proteins of Korean silkworms – has been shown in multiple clinical studies to have immediate positive effects on your brain’s memory. BF-7 possesses a rare ability: It can pass through the blood-brain barrier – a protective shield in your brain used to keep out bacteria, viruses and larger molecules that can cause blockages in the delicate circulation pattern in your brain. That means BF-7 is able to directly increase acetylcholine in the brain, while also protecting it from memory-destroying brain toxins. Those taking 200 mg of BF-7 – the same amount in a daily dose of Advanced Brain Power – saw their Intelligence and Memory Quotient score go from 53% to 79%. This score measures a person's cognitive abilities relative to their age group. Their rate of memory recall increased from 31% to 59% – that’s almost DOUBLE! And those taking BF-7 at 400 mg saw ALMOST TWICE the improvement in their memory recall AND Intelligence and Memory Quotient score! Silly “SENIOR MOMENTS” sure can make you feel OLD faster than just about anything else. But memory gaffes are not only frustrating and embarrassing, they’re also serious and almost always get worse every year! 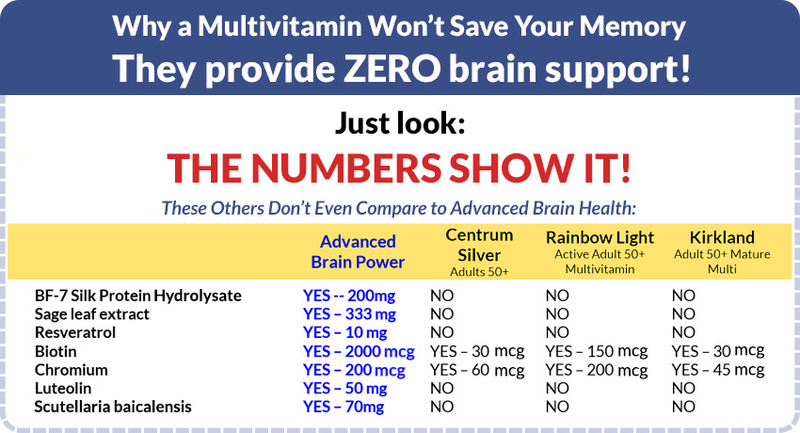 The good news is, there ARE great, well-studied brain support nutrients that can really help…but you rarely find these “brain nutrients” in any multivitamin, and they’re hard to get from food, too. Studies reveal a SHOCKING lack of brain-support nutrients in older people – leaving you with no brain cell protection, and nothing to increase blood circulation to your brain or help you retain your memory and recall functions! Now Advanced Brain Power can do it all! Imagine the improvement in remembering directions, easily comprehending complicated equations, and pursuing your creative hobbies again with ease. With Advanced Brain Power on your side, no more memory lapses or “senior moments” for you! Another study from 2004 focused on seniors 60 years and older with mild cognitive decline. After 21 days of taking a twice-daily dose of 200 mg of BF-7, the seniors were tested to see if there was any improvement in their attention, concentration, calculation, language ability, and spatial organization. It turned out that not only did the BF-7 improve their cognitive decline symptoms by an average of 31%, but the researchers concluded that it was also “useful for protecting the nervous system and improving brain function” overall. And since you can’t get this amazing, newly discovered ingredient from any food source, we’ve provided the perfect dosage in each capsule of Advanced Brain Power. Your aging brain is complicated. . . but we made the solution easy. This well-known ingredient is likely sitting in the back of your kitchen cupboard, and you probably don’t even know the memory-preserving benefits it can unlock. Sage has been known for centuries as a brain booster and memory restorer. In fact, that’s why the word “sage” is also used to describe a wise person. Scientists studying its effects on memory found that Sage works by stopping the enzyme acetylcholinesterase (AChE), which breaks down your brain's key chemical messenger, acetylcholine. So it’s no surprise that human clinical studies on the sage extract – using the toughest memory tests researchers use – showed immediate improvement in participants' memory abilities. One of these studies looked at healthy adults who had average memory impairment. 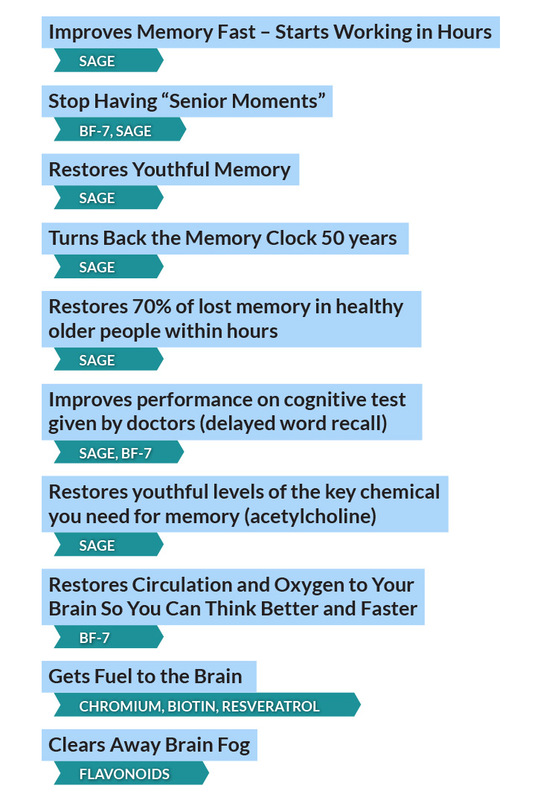 The researchers found that sage leaf extract boosted memory test scores by increasing acetylcholine in their brains – which many scientists are now calling the KEY to retaining your memory. And although these people saw memory improvement within just two hours after taking the extract, the study also showed after three weeks of daily use, they were experiencing the same memory capabilities they had when they were 50 years younger! It’s results like these that convinced us to include sage in Advanced Brain Power. Imagine remembering and understanding driving directions better, managing your own money, learning how to use new technology… being in control of your own life! You’ve probably heard about Resveratrol as a “fountain of youth” that comes from red wine. It’s rich in powerful antioxidant properties. True, Resveratrol is found in red grapes, but you can’t get what your brain needs just by eating them or drinking wine. Brain and memory cells need a highly concentrated dose of Resveratrol to protect them from the ravages of aging and oxidative damage. Plus, scientists have also discovered that Resveratrol can help your body use insulin more effectively – which is imperative for brain health. A 2011 study found that a daily dose of 10 mg of Resveratrol – the same amount in Advanced Brain Power – actually “improves insulin sensitivity in humans,” which ensures your brain gets the energy it needs to power your memory and mental focus. YOUR BRAIN IS SHRINKING: MRI brain scans show that certain regions of the brain shrink as much as one-fourth by age 80, according to a study conducted at George Washington Hospital in Washington, D.C. YOUR BRAIN SIGNALS SLOW DOWN BECAUSE YOUR CIRCULATION SLOWS: Mental processing slows down because you’re not getting enough blood circulation to your brain. It leads to slower recall, brain fog and forgetfulness. YOUR BRAIN CELLS ARE BEING KILLED OFF BY INFLAMMATION: It’s like a faucet you can’t turn off. We all know inflammation is your body’s first line of defense when harmful free radicals threaten your health. But certain triggers can actually trick your body into keeping its inflammation stuck in an “on” position – aging being one of those primary triggers. When that happens, inflammation doesn’t just attack infections, stress or injury – it attacks healthy tissues, blood and cells, too – even cells in your brain. You probably have heard how inflammation can build up in other parts of your body, like your muscles and joints, and how much pain and stiffness it can cause. But inflammation in your brain is much more serious. Your brain’s immune response centers are called microglia cells. Their job is essentially to “mop up” dead neurons, beta amyloid plaque and other cellular debris – which keeps your brain in working order – as well as protect the brain from harmful free radicals when needed. When inflammation is stuck in the “on” position, though, microglia cells can actually CAUSE the inflammation they’re supposed to protect against because they’re not able to do their job. When that happens, toxic debris builds up and can actually STARVE your brain cells to death – and the first thing to go is your memory. …and could be KILLING your brain cells! We all know our bodies need sugar – our cells turn glucose into energy to power our bodies. Unfortunately, too much sugar can actually kill off your brain cells – destroying your memory in the process. The balance has to be just right! Cells in your brain use the hormone insulin to turn the sugar in your bloodstream into energy your brain can use. Your brain needs this blood sugar in order to power your memory – but eating too much sugar and other carbs every day can actually start to make your body resistant to insulin, preventing it from doing its job. If you find yourself forgetting people’s names, having trouble concentrating, or mired in a brain fog, you could be one of the 35% of adults with out-of-control blood sugar levels. Advanced Brain Power was created to ensure you’re getting the brain circulation you need, stop inflammation from destroying your brain cells, and even help increase your IQ! Together, these ingredients are shown to significantly improve your memory, starting in just one week. Most people don’t know that healthy insulin production helps your brain function best. Biotin is an ingredient naturally found in the yellow yolk of eggs, and its job is to make insulin work more efficiently in your body by increasing your cells’ sensitivity to glucose. A 2005 clinical study backs up this claim, showing that being deficient in biotin has been linked to inefficient use of glucose – which means your brain is not able to get the nutrients it needs to perform at its best. Advanced Brain Power ensures you get just the right amount of biotin to give your brain the energy it needs. A trace mineral that’s found in many types of foods, chromium helps your cells use insulin to bring energy in the form of glucose to cells throughout your body. Sad to say, it’s mostly stripped away from foods when they’re processed, so it’s no surprise that 90% of American diets are deficient in chromium. But by increasing your chromium levels, you can improve the insulin sensitivity of your brain cells – and you can even reverse insulin resistance. In fact, one study on adults with chromium deficiency showed that after a daily intake of 200 mcg of chromium – the same amount in Advanced Brain Power – insulin in their blood decreased 25%, proving that chromium boosted insulin sensitivity of cells. A group of more powerful antioxidants, called flavonoids, is critical for brain and memory health. The flavonoid luteolin ensures that bacteria, viruses, toxins and free radicals can’t leak through your protective brain shield – known as the blood-brain-barrier (BBB) – and wreak havoc on your delicate circulation network. These flavonoids are some of the few antioxidants that can actually pass through the BBB to calm inflammation in your brain and microglia cells, making luteolin function almost like an OFF switch for inflammation in your brain. Baicalin – MEMORY IMPROVES UNDER STRESS! Another special flavonoid, baicalin can also pass through the blood-brain barrier to help dispel inflammation in the brain. In fact, a 2015 study on mice showed that by taking baicalin, the memories of the mice actually IMPROVED – even despite being under stress from the stress hormone cortisol. In humans, baicalin has also been shown to do something scientists used to think was impossible – grow new brain cells. AND on top of that baicalin clears away cellular debris that could turn into toxins in your brain. Both functions are absolutely needed if you want to correct memory problems and improve your brain’s cognitive abilities. 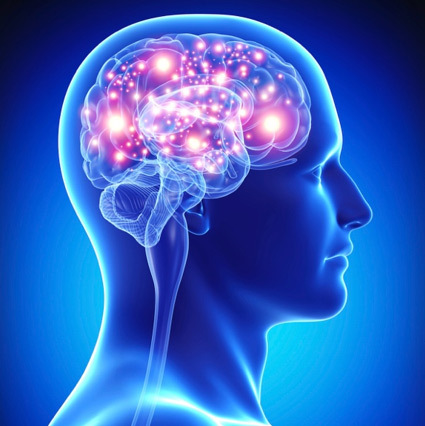 Your brain needs the fuel and nutrients to power your memory and cognitive abilities. And when your brain can use its full power potential, retaining your independence is a breeze! Don’t Turn into an Old Crab! Imagine if You Could Remember EVERYTHING! If you want to stay sharp and focused, you need cognitive power. It’s the only way to stay healthy and independent long-term. The super brain nutrients in Advanced Brain Power help SPEED UP the message-delivering pathways in your brain to keep you thinking quickly and clearly. Important Nutrients from Your Diet! Doctors always recommend you get your daily vitamins and nutrients in your diet, and supplement with a multivitamin only to get the vitamins you may be lacking. That conversation changes, however, as you age and your body has more trouble regulating blood sugar and managing inflammation. That’s when your body is craving specific nutrients you can’t easily get from your diet or a multivitamin – but Advanced Brain Power has you covered! Studies of key nutrients found in Advanced Brain Power in healthy adult seniors have reported recovery of 70% of their lost memory in just one hour! 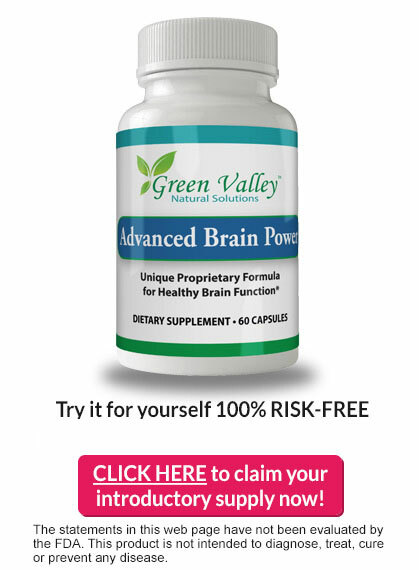 Advanced Brain Power is nature’s all-natural solution—it works for you, or it’s FREE! CLICK HERE to try Advanced Brain Power now! Saves your short term memory – the one that goes first…. Helps you feel younger and even more vibrant and alert than you‘ve felt in years! Now You Can Live Happily and Independently! As you continue to take Advanced Brain Power — you’ll be pleasantly surprised to see that you’re getting your old self back, free of “senior moments” and enjoying all that life has to offer once again! 70% of your memory RESTORED in one hour! HUGE improved performance on the ONE test that predicts future memory failure – with 96% accuracy! 7 powerful nutrients in Advanced Brain Power help you restore your memory and keep your mind young! I’m so sure Advanced Brain Power will give your fading memory what it needs, I’ll let you try it out for 30 days risk-free! Try Advanced Brain Power for 30 days risk-free. Just pay $9.95 shipping and handling and we’ll send you a 60-day supply of Advanced Brain Power. If you’re not utterly delighted with your results by day 30, just call or email us, then send back the unused portion to us – and we will never charge you another cent. so you can’t possibly lose. I’m not like most doctors you know because I specialize in holistic health, as well as being board-certified in Family Medicine. I’m especially interested in new discoveries for natural “brain boosters” – so it’s no surprise that one of my biggest concerns these days has been the shocking amount of cognitive slowdown I see in my senior patients. Many of them think their symptoms are just a regular part of aging, not knowing about the miracle nutrients available to them today. And that’s why I’m here to tell you just how much Advanced Brain Power can help you. Its 7 star ingredients have been proven to naturally speed up your memory recall and drastically improve your mental abilities – and many people can actually feel it start to work in just one hour. I firmly believe it’s the best approach to brain health and will take you into a much healthier and more vibrant future! And right now is the absolute BEST time to put this remarkable formula to the test! In a matter of days, you’ll begin to experience relief from the frustrating brain fog, forgetfulness and “senior moments” that have been your constant companions for far too long — and you’ll FEEL better than you have in years! of this limited time invitation! 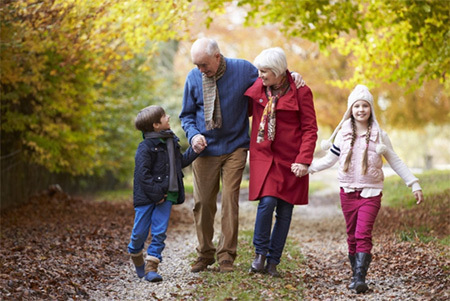 Simple Ways to Keep Your Memory Young into your 80’s, 90’s and even 100’s! The editorial team of Green Valley Natural Solutions boasts more than 7 years of in-depth research into the latest science on brain health. They’ve interviewed 19 of the top doctors in neuroscience – university researchers as well as practitioners on the front lines of treating real-life patients. They’ve pored over hundreds of medical journal articles, looking for the very latest, best tips on the science of preserving memory and cognition – OR getting it back if you lost it! 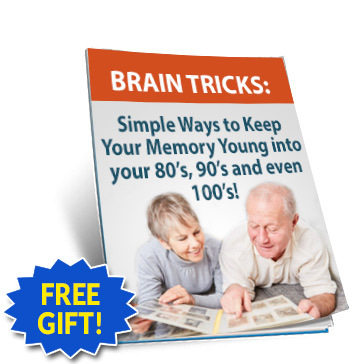 Now they’ve come up from this deep dive and compile their best, easiest brain health tips into a new Special Report called Brain Tricks: Simple Ways to Keep Your Memory Young into Your 80’s, 90’s and even 100s! It’s yours free, just for agreeing to try Advanced Brain Power. And it’s yours to keep, even if you decide Advanced Brain Power is not for you. In the pages of this exclusive Special Report, you’ll discover. . . The #1 most deadly brain-destroyer that’s robbing millions of their precious memories. It’s easy to fix – at home – no drugs, supplements, special foods or doctors needed! The second most potent thing you can do to restore your brain to health and boost your memory – and it costs nothing! This is the fruit of years of research. And you’ll see the results within days. The six best foods you can eat for better brain power – proven by scientific research to save your memory and thinking ability – even if you’re in your 60’s or 70’s! How a common, newfangled device found in most cars is robbing you of brain power. Turn it off now! A delightful social activity reduces your risk of Alzheimer’s disease by three-fourths! 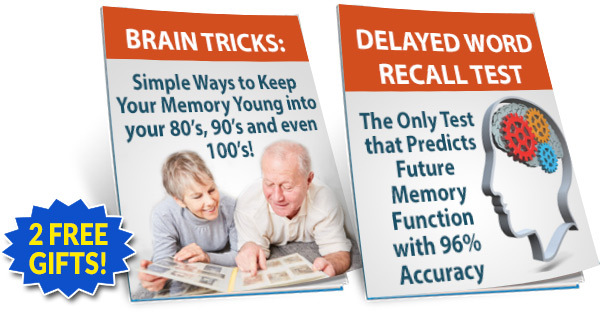 And more. . .yours FREE in Brain Tricks: Simple Ways to Keep Your Memory Young into Your 80’s, 90’s and even 100’s! PLUS you get this second FREE GIFT. . .
Memory Function with 96% Accuracy! 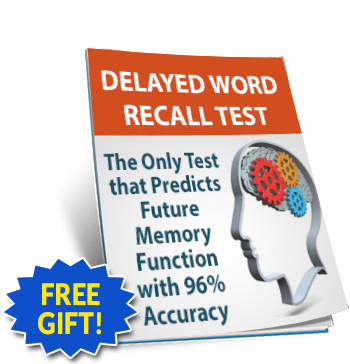 When you decide to give Advanced Brain Power a try, you also get Delayed Word Recall Test: The Only Test that Predicts Future Memory Function with 96% Accuracy – yours to keep no matter what. Find out within minutes what kind of shape your memory is in – using this free home test – the same one neurologists use! The Delayed Word Recall Test was declared “one of the strongest predictors that a person is on the road to [severe memory loss] or is already there,” based on clinical study by international scientific leaders at the world-renowned Feinstein Institute for Medical Research in New York. You’ll get the full story in this Special Report, including instructions on giving, taking and scoring the test. You can test the health of your own memory – and share this valuable tool with friends and family, too. Get yours today – CLICK HERE. TO TRY ADVANCED BRAIN POWER TODAY! You pay nothing today but shipping & handling. Imagine waking up every day and knowing you're going to go through the entire day without any “senior moments”—enjoying yourself without having to worry about forgetting names or faces, or not being able to find something you put away just a couple of days ago. You’ll drive to a new store you’ve never been to before just as easily as to your regular grocery store. No more missed appointments, embarrassing mistakes at work, or accidentally introducing someone by the wrong name! No more forgetting to lock the door, turn off the stove, or shut the garage! You’ll work on the computer….mobile phone…or iPad without hesitation because you know your brain is up to the challenge. No more forgetting important account numbers or passwords! No more mistakes in balancing your checkbook! Imagine having the focus to finish a good book, keep your household tidy and running smoothly – and never being left out of dinner conversations again. ... when you can think and remember clearly again, you’ll feel so good — better than you’ve felt in years. As a result, you can experience more energy... a healthy glow...a better mood… and a happier, healthier outlook on life. I know Advanced Brain Power will work for you—and I want you to SEE for yourself—completely RISK FREE! Click here right now and claim your introductory supply of Advanced Brain Power PLUS your 2 Free Gifts. P.S. Remember: During this limited time invitation—you pay only for shipping and handling today. And if you’re not completely satisfied, just let us know within 30 days and you’ll never pay another cent. The statements in this web page have not been evaluated by the Food and Drug Administration. This product is not intended to treat, diagnose, cure or prevent any disease. Green Valley Trial Offers are only available in Canada and U.S. Territories. I’m so sure Advanced Brain Power will give your aching joints what they need, I’ll let you try it for 30 days risk-free! I have enough confidence in Advanced Brain Power to take a chance and send you two bottles now for nothing but shipping and handling. You’ll see why I’m so sure when you try it. And it’s very important you do try it – if you want to enjoy your full brain power for many years to come.